Well, I finished these projects in the previous weeks so, I decided to do a quick post on the details. Miette is a free cardigan pattern by Andi Satterlund. It is worked from the top down and can be a super quick knit. I worked on mine off and on. It is a fairly easy pattern but, it does have some details that make it interesting. For instance, the lace pattern and ribbing that is made by working through the back loops. I chose this orange color simply because I don’t have a cardigan in orange. The yarn in Knit Picks Brava in orange. I got gauge so, I used the Size 7 (4.5 mm) and the Size 8 (5.0 mm) needles. The cardigan is very versatile. I have worn it 3 times already since I made it. I love wearing it with high waist skirts and dresses. 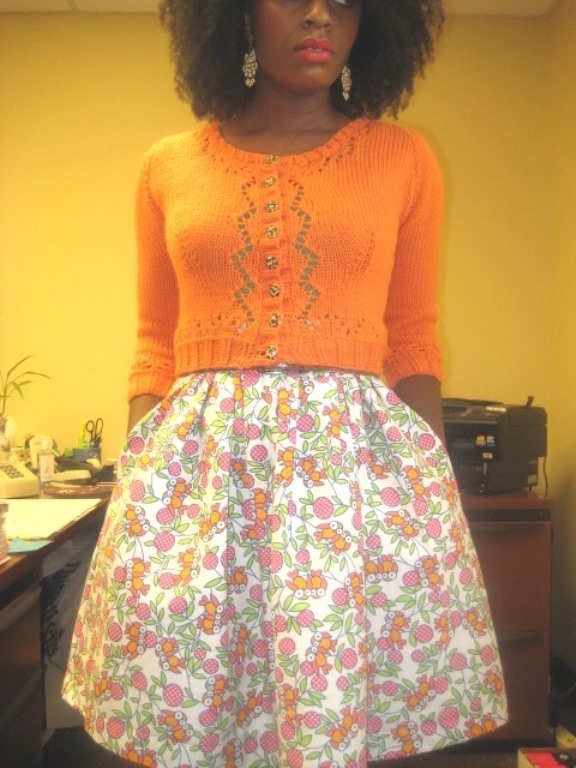 This skirt is a variation of the one-hour skirt from Sewing in a Straight Line. 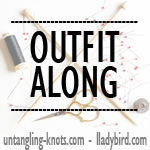 I added lining, lengthened the skirt, and added pockets using this tutorial. The tutorial really helped me and it wasn’t hard at all. I noticed when re-reading the instructions for the skirt that I did not do french seams. (I didn’t do it for the yellow skirt either.) 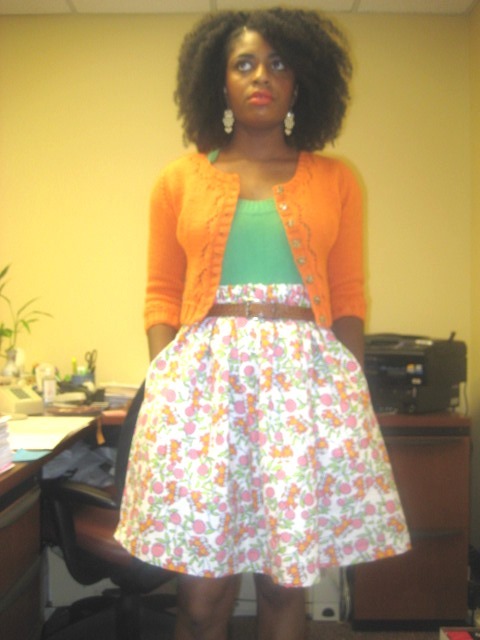 Despite this mistake I still adore this skirt and I love wearing it. The owl print is so cute to me and I am so grateful my mom found this fabric for me. Well, that’s all I have to say about these projects. I’ll be posting about my Week 4 of Me Made May tomorrow. You are so right!! I definitely should make it my goal to do that since, this is my favorite type of outfit. This looks fabulous! Well done.